Convert your manual wheelchair into an electric wheelchair with ease. Turn your manual wheelchair into an electric assisted wheelchair with the wheelchair powerpack, complete with variable speed and reverse. Also easily removable when not needed. This unit is controlled by the attendant not the user of the wheelchair. Please note: This powerpack is quite heavy, in order to achieve greater traction with the ground. When fully fitted your wheelchair will not fold up, but by using the quick-release mechanism the powerpack can be removed and the wheelchair folded in seconds. 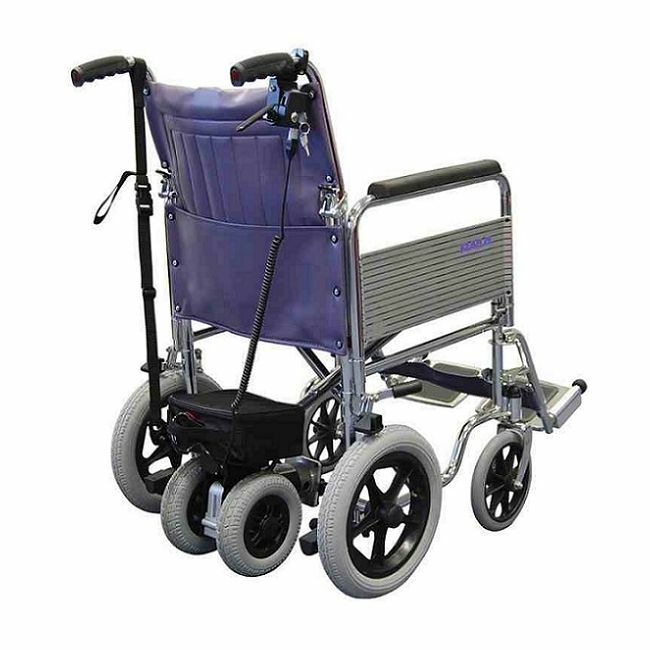 Fits most wheelchairs with horizontal tubing along the bottom at each side of the wheelchair.